Far to often we focus on the outer exterior, not realizing we are not necessarily doing what is best for the inner beauty to shine through, actually ageing us. Our best health emanates from our inner being, our cell-being, and is a much more powerful way to attain sustainable, long term health. 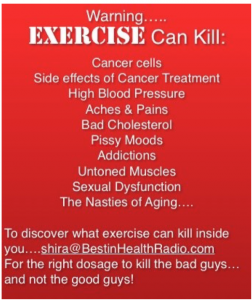 Best in Health Radio was created by Shira Litwack, Medical Fitness Professional and in January 2015 voted Industry Expert Cancer Exercise. The goal is to take the fads & facades out of fitness, and bring you the true whys, wheres, hows…..of health & fitness. We continue to assemble a brilliant cast of scientists & researchers who dedicate their lives to disease prevention & management. Just click on the showpages & listen! Much of what you read in the media is sensationalized & dissected beyond recognition of the original scientific reality. The more you listen & read, you realize just how much of your health’s destiny is fully within your power. We strive to uncomplicate health, and through our programs, guide you through embracing the real motivation of adopting a healthier lifestyle, not the superficialities. 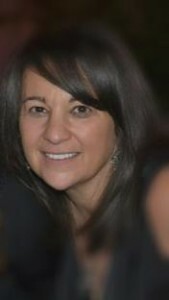 Shira is a member with many American & Canadian health & fitness organizations, the Medical fitness Network & now the European Registry of Exercise Professionals. Shira was voted Industry expert Cancer exercise January 2015. Here’s to the Best In Health to you and your loved ones! Corporate Health: What an affordable way to make the world a healthier happier place.